The biggest online wine portfolio in Denmark! Are you looking for a specific wine? In Denmark’s most extensive wine portfolio you will surely find a wine meeting your expectations. It doesn’t matter if you are a wine expert or a wine explorer – with our 6000 wines from all over the wine world we can offer wines for any taste and any occasion. 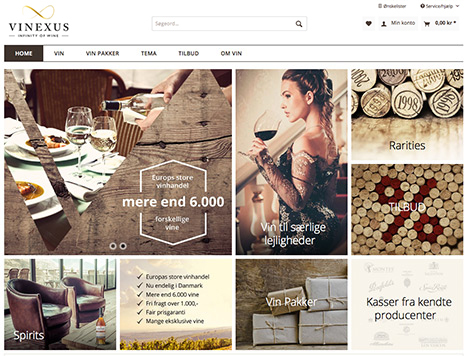 Vinexus.dk is the first address to go to for any Danish wine lover in order to buy premium wines from all over the world – online, quickly delivered and at a good price. Discover our Danish online shop at www.vinexus.dk!